JUNE 11, 2013. Well, well, well. 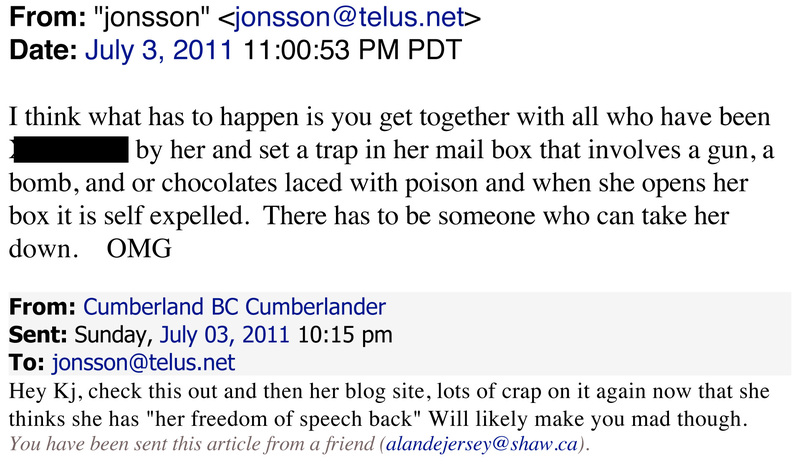 The threatening email authored by Kim Jonsson in 2011, displaying her deep hatred for me (we have never met) is now explained. 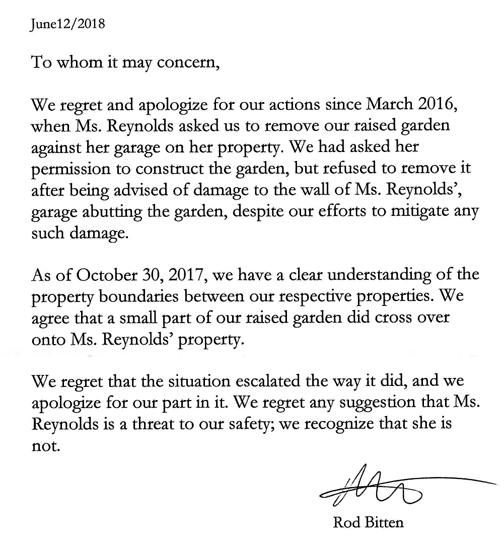 Why would Alan de Jersey ‘expect’ Kim Jonsson to be mad at Mary Reynolds? Why did Alan de Jersey claim it was fabricated? Kim Jonsson to this day has not disputed the existence of the email. Kim Jonsson displayed some really deep feelings and desire to have someone take me down. 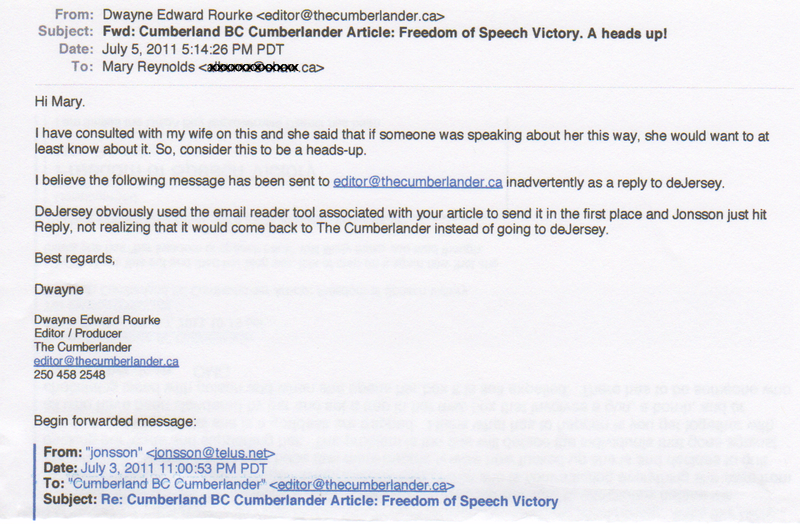 Since The Cumberlander is no longer in existence, the original owner no longer resides in the Valley, so no one will get hassled over me showing how I received the threatening email. Takes on a whole new meaning when you realize someone is ‘motivated’ by intense feelings – whole different perspective. Kim Jonsson has the ability to carry out her threats and that is a danger to me. This is not the same as de Jersey’s creepy friend Bryan Baker being a complete pos sending anonymous filthy emails and his blog. This is Alan de Jersey and Kim Jonsson displaying the lengths they will go to (in my case death) in order to protect each other. How do I know at this time if Kim Jonsson’s concerns and feelings for Alan de Jersey have increased in intensity? If so, what is Kim Jonsson and Alan de Jersey planning to do in order to satisfy Ms. Jonsson’s wishes? Would certainly be interesting to see the emails exchanged between these two regarding me.